This is a great way to experience Langtang’s vibrant cultural heritage while avoiding more commercialised areas. The trail was developed by the Nepalese government to allow the benefits of tourism to be distributed amongst the population of Langtang. On your journey you will travel from village to village and see a way of life that is alive with Tibetan Buddhist traditions. Langtang’s Tamang people are music loving, colourfully dressed and have a social structure and language distinct from the rest of Nepal. The Tamang are renowned craftsman and visiting them is an excellent opportunity to buy one-off souvenirs that include clothing and artwork. You can also see beautiful woodcarvings in their houses. As with other treks in Langtang, the scenery offers amazing mountain views of mountains, hills and lakes. Some people also enjoy a relaxing visit to the hot springs in Tatopani. L.N. Treks can organise homestay accommodation along the trail. 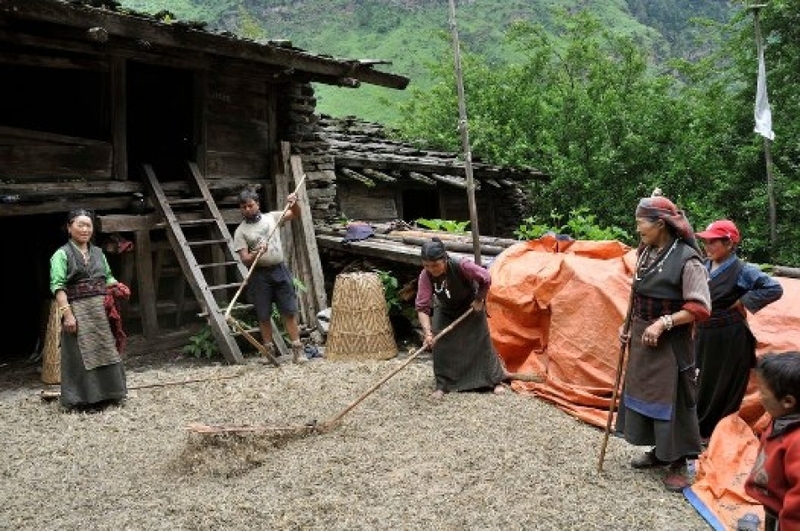 Thiese offers a warm welcome, a chance to witness Tamang family life and good home cooking.